Save $65 on a week's stay! 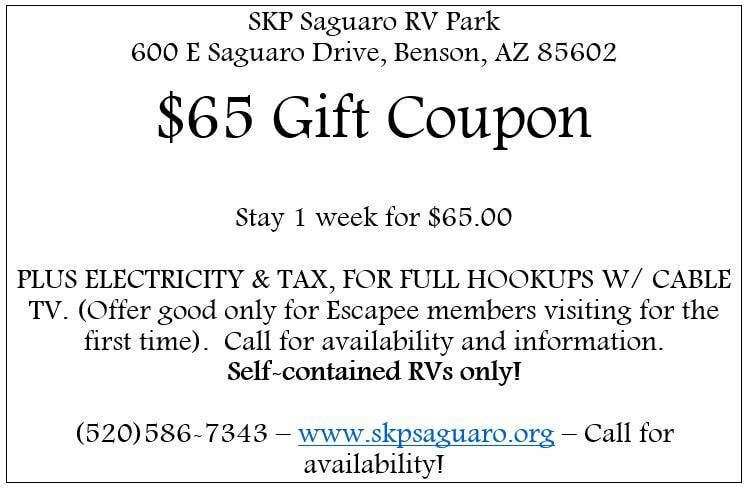 Escapee members visiting us for the first time can get a week of FULL hook-ups* for HALF OFF OUR NORMAL WEEKLY RATE! That's $65.00 off of our regular price!